The City of Lander Administration consists of the Mayor and Council, City Clerk, City Treasurer, Police Chief, Public Works Director, City Attorney, City Judge and City Fire Chief. The City of Lander Mayor and Council have meetings every Tuesday. Regular meetings are scheduled for the second Tuesday of each month starting at 7:00 p.m. Work meetings are scheduled for the fourth Tuesday of each month. Public meetings are held before the Council meetings and start at 6:30 PM or as advertised. Monte is a life long Wyoming native, born in Rock Springs and grew up in Green River. He has lived in Lander since 1976. Monte retired from Lander School District #1 after working for 36 years. He also coached soccer since 1980 (Youth, Strikers, Boys and Girls high school), coached Junior High Basketball and Freshman Boys Basketball. Monte has been married for 42 years and has three children and 5 grandchildren. He has served 8 years on city council, and is in his first term as the Mayor of Lander. I am a Native Landerite. Born in Lander 65 years ago, 6th generation of the Rogers/Laird Family on my mother’s side and 4th generation of Hudson’s. Education: Associates of Science from Casper College in Life Science. A degree of Mortuary Science from Cincinnati College of Mortuary Science. Service : Armed Forces: 3 years U.S. Army. 2 years in the 601st Medical Company, Ft. Clayton, Canal Zone, Panama. 1 year with Medical Battalion at Ft. Bliss, Tx; 2nd Armored Division. Duties: Majority as a training NCO in charge of teaching and records on personnel. Medic and acting Platoon Sgt providing first aid & ambulance for all other operations. Family: Married 40+ years to my wife Celina and we have two children, Jennifer Hudson Schaff and Candice Wyola Hudson. We have one grandchild, Anthony Wendell Schaff. I retired from the City of Lander after working 31 years as Supervisor for the Cemetery Department. I also retired from Lander Volunteer Fire Department after serving 16 years; 7 of those years I was a Line Officer including 2 years as Chief. I am a biologist at heart. I am a true naturalist who enjoys fishing, hunting, hiking, back packing, camping and watching wildlife and nature. Dan was born in 1957 in Long Beach, California, moved and was raised in Huntington Beach, California. At 18 years old he moved to Riverton, Wyoming to work in the family owned business, Wind River Ready Mix. He moved to Lander in 1977 where he met and married Janelle. He became a partner and manager of the Ready Mix until selling the business in 2008. At that time he became employed by WYDOT and has been promoted to the maintenance heavy equipment operator position. Dan is an active member of the Lander Volunteer Fire Department for 27 years, is a member of the Lander Masonic Lodge, lifetime member of the Lander Shrine Club, member of the Korein Shrine, 16 year member of the Lander Elks Club, 8 years previously active on the Lander City Council, and 6 years on the Lander Park and Recreation Board. He is an avid hunter and outdoorsman. The couple have two children living in Lander, Josh and Melissa, and one granddaughter, Ruby. 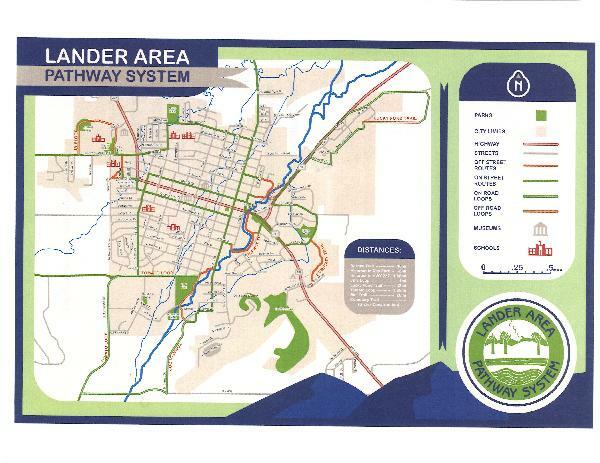 Cade is a very active member of the Lander, Wyoming community. He currently represents Ward 2 on the City Council, is on the Board of Directors for LEADER, is a board member of the local Kiwanis chapter, and is one of the founders of the Lander Economic Development Association. He is a recognized expert in international logistics and global procurement. In his roles as Vice President of Sales and Operations for Maven Outdoor Equipment Company and Co-Owner of Bridge Outdoors he has utilized this expertise to build global supply networks and grow domestic sales. Cade was a Logistics Specialist in the US Navy, serving tours aboard the submarine USS Tennessee and at the Submarine Logistics Support Center. He is an active member of the Lander Cycling Club where he was the founder of the Fremont Area Road Tour and he enjoys fishing, hunting, cycling, and spending time outdoors with his wife and three children. He also really hates tomatoes.